Easily ship from anywhere in the U.S. to Canada. in getting your shipment on time and in good shape. 1. Determine if you are shipping "Courier Packages" or "Pallet Freight". Increasingly, businesses and individuals are purchasing and shipping goods from the US to import to Canada. When shipments become larger than "courier size" many people find the complexities of shipping to be overwhelming. Specifically, when shipments have a girth larger than 165" (freight) then commercial transport via truck is required. 2. If your shipment is considered "freight" the use of a professional customs broker will be required to to manage the clearance across the border. 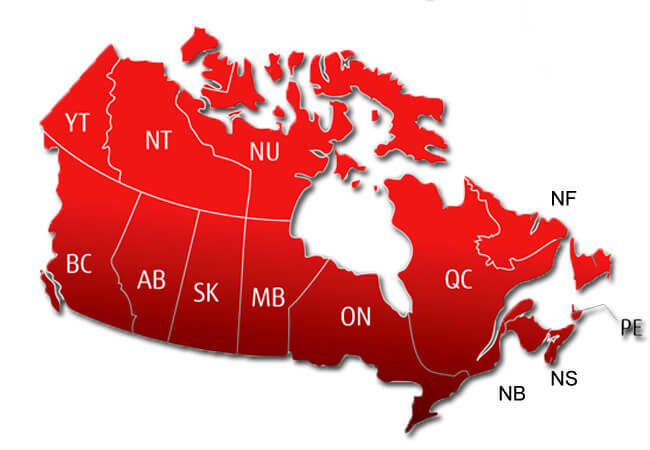 ShipCanada works with a network of customs brokerages representing clients at every major border crossing in Canada. 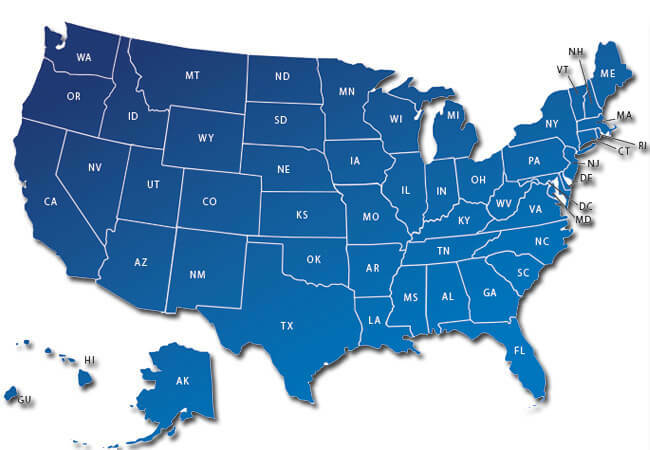 We pickup from all points in the U.S. and deliver to all pounts within Canada. 3. Obtain all necessary documents from the U.S. Shipper. At a minimum, the shipper will need to provide a commercial invoice outlining the value of the sale as well as an accurate description of the goods being moved. The shipper may also need to provide additional docuemnts such as a NAFTA certificate or Food & Drug inspection documents. 4. If you are shipping freight, determine the freight "class". In the U.S. all freight has an associated "class" which the carrier will use to determine to appropriate freight rate. Understanding the freight class will help you select the right carrier and avoid costly billing adjustments. FOr more information on shipping from the U.S. to Canada call one of our experienced freight transportation specialists with any questions regarding your shipment. We look forward to the opportunity to serve you and your customers. Our Customer Service Line is: 1-289-813-4024. Alabama Alaska Arizona Arkansas California Colorado Delaware Connecticut Florida Georgia Idaho Illinois Indiana Iowa Kansas Kentucky Louisiana Delware Maryland Massachusetts Michigan Mississippi Missouri Montana Nebraska Nevada New Hampshire New Jersey New Mexico New York North Carolina North Dakota Ohio Oklahoma Oregon Pennsylvania Rhode Island South Carolina South Dakota Tennessee Utah Vermont Virginia Washington West Virginia Wisconsin Wyoming. ShipCanada.com offers the most competitive rates for LTL freight to & from any point within North America. Our committment is to consistently look for ways to give our clients a competitive advantage. 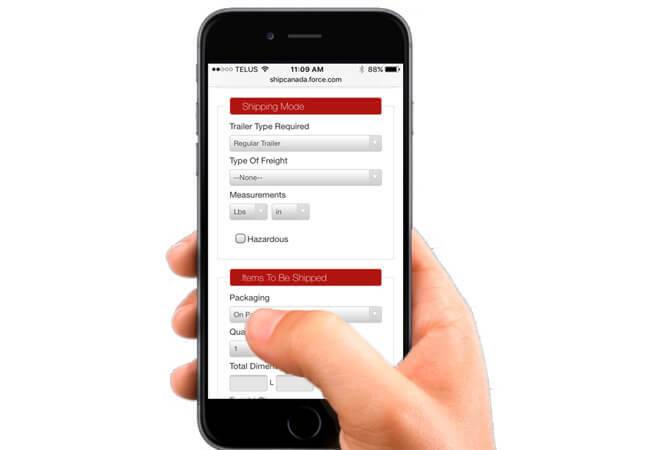 ShipCanada is backed by a team of professionals experienced in dealing with all areas of freight transportation. We are available by phone or email to resolve any issues. We accept all major credit cards for initial transactions. For accounts who prefer to pay by invoice, we can quickly set up credit terms up to 30 days.